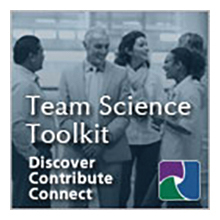 The Science of Team Science (SciTS) field is building the evidence base for how to conduct, manage, and support effective and efficient team-based research and ultimately enhance the science it produces. The SciTS conference is the annual international forum dedicated to SciTS, bringing together thought leaders from a broad range of disciplines and fields, including: communications, management, social and behavioral sciences, information technology, systems science, and translational research. It provides investigators, academic administrators, and funders with state-of-the-art knowledge, strategies, and connections. SciTS scholars, scientists engaged in team-based research, institutional leaders who promote collaborative research, policymakers, and federal agency representatives will be in attendance. The 2019 conference for the SciTS community will be hosted by Michigan State University in Lansing, Michigan. Michigan State University occupies the ancestral, traditional, and contemporary Lands of the Anishinaabeg–Three Fires Confederacy of Ojibwe, Odawa, and Potawatomi peoples. The University resides on Land ceded in the 1819 Treaty of Saginaw. Click here to learn more about the land acknowledgement.